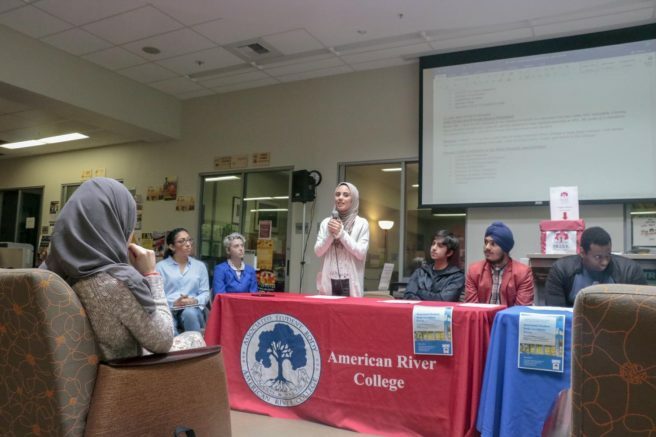 The American River College Associated Student Body hosted a candidate forum in the Hub on April 2 to give the new candidates who are running for Student Senate and Club and Events Board positions the opportunity to share their programs with students. The 12 candidates sat in a line in front of the student audience and introduced themselves. Next, ASB Advisor Brett Sawyer began the forum meeting by introducing himself and gave some information on what the meeting was about and how it was going to run. Sawyer gave more details to the audience about election timing and location. Sawyer said that all students would have two minutes equally for their opening statements. Sawyer then passed the mic to the candidates, and they started their opening statements. Candidates gave information about their backgrounds and worked to grab the attention of the audience. Sahibpreet Otal, a bioengineering major, is one of the candidates running for the vice president position on the Student Senate board. “I feel qualified myself in this position because I have three things that [are] required … communication skills, leadership and experience,” Otal said. According to Otal, communication and interaction helps students share their ideas on what the ARC community can do to understand everyone’s feelings. The forum moved slowly as every candidate took their full two minutes of time to share their messages with the audience. Aesha Abdul Jabbar, a biology major, is a candidate for the ASB president position. Jabbar is the only Muslim woman running for the seat. Jabbar said she has big plans to make sure that all students feel included and safe at ARC. After the candidates finished their opening statements, the two students from other campuses in the Los Rios Community College District who are running for the Los Rios Board of Trustees took the mic and used their two minutes of time to share the reasons why they are running for their respective positions. Isabella Maria Engel, fashion design major at Sacramento City College, and Ana Paula Deoliveira, political science major at Folsom Lake College, were the only two students to run for the Board of Trustees at the forum event. The meeting moved forward by giving the audience the opportunity to ask questions. One of the questions asked by Sawyer was how the candidates plan to advocate for ARC and value its diversity, and for the candidates to provide their statement of mission, vision and values of ARC. All the candidates were given equal opportunity to answer the question and give their closing statements. 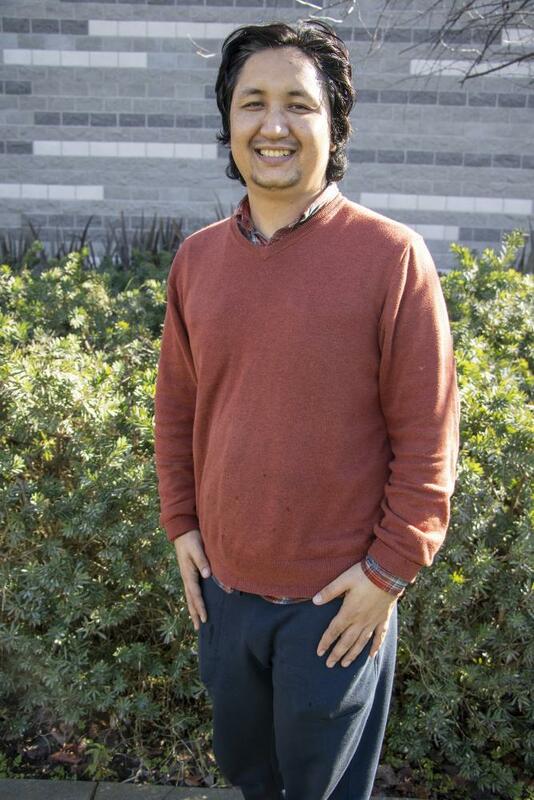 “I can do as much as possible help and diverse students, it is what ARC (is) known for,” Otal said. Students can vote online through eServices from 5:30 a.m. until 11:30 p.m. on April 9 and 10. Be the first to comment on "Candidates share their goals before ASB election"